The line up was shortly after completed by Zaher Ben Hamoudia ( Bass) andTarek Idouani (vocals). 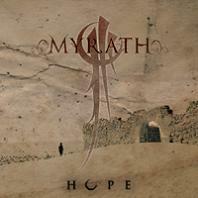 With this new line up Myrath released their first self produced album ‘’double face ‘’ on March 2005. With a line up now consisting of 4 skilled musicians fully dedicated to the band and sharing the same ambition of success, Myrath spent about 3 months writing new songs for the second album .